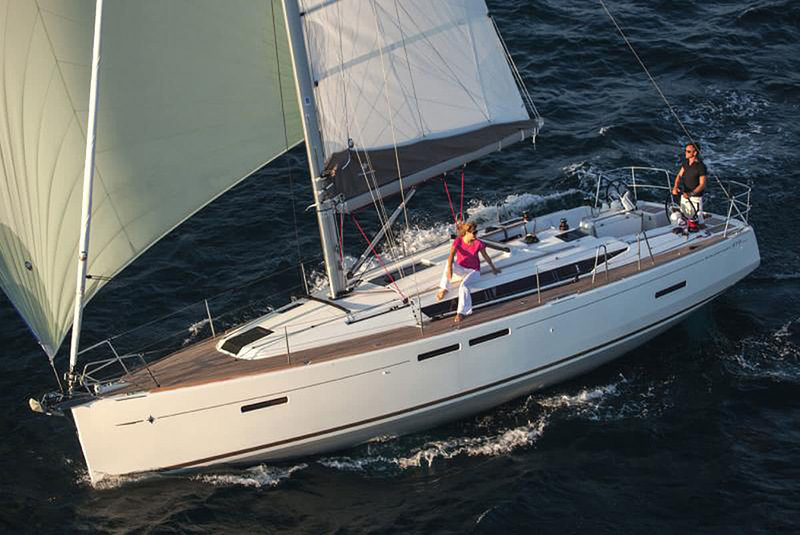 The Jeanneau Sun Odyssey 419 is a yacht of style and performance. 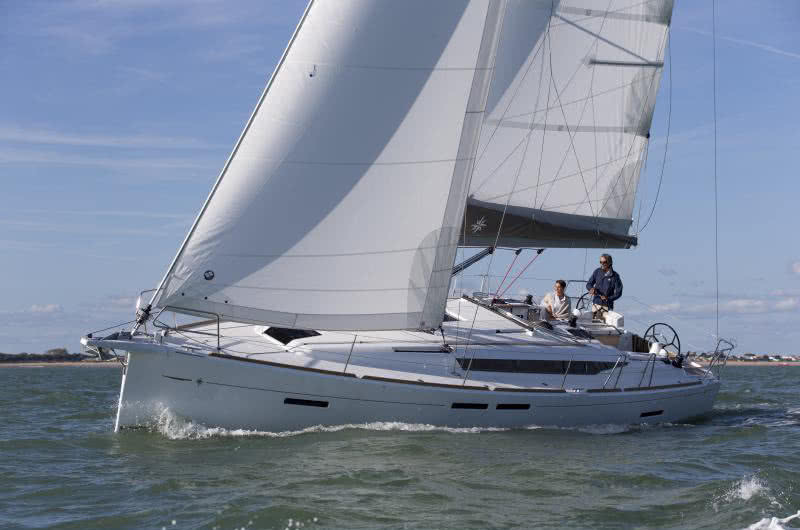 With twin helm stations allowing high-side operation and visibility, 42 feet of overall length, a 13-foot beam, this yacht sails brilliantly in any seas. 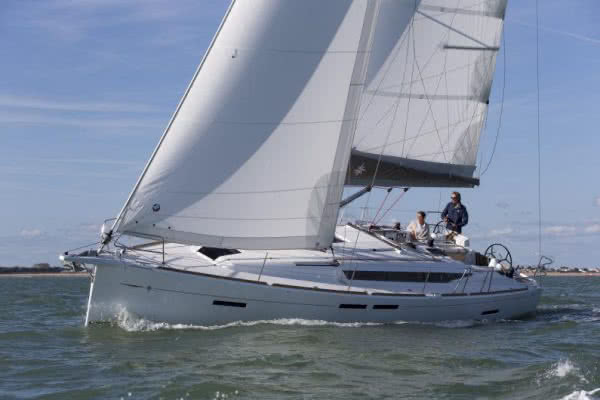 Her state-of-the-art rigging includes an in-mast furling mainsail and furling genoa that are both entirely controlled from the cockpit by large Harken winches, providing maximum safety and convenience. 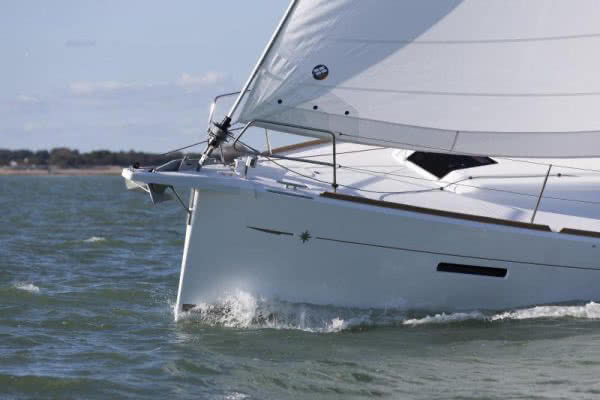 The yacht has a bow thruster which allows lateral control of the bow for ease of docking. She easily accommodates nine passengers seated in her spacious cockpit. Forward she has abundant area for sun bathing and moving about. Cockpit seats are inlaid with nicely finished, glowing teak. 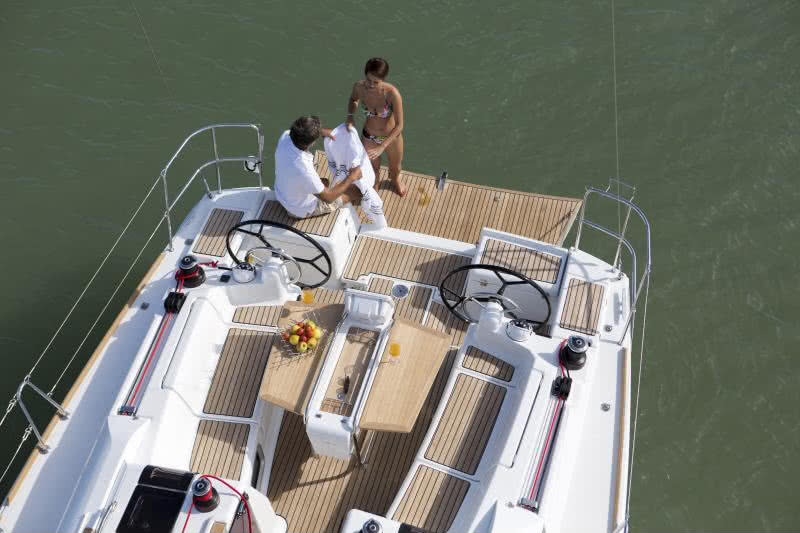 A sizable teak inlaid swim platform lets guests easily accesses the water. 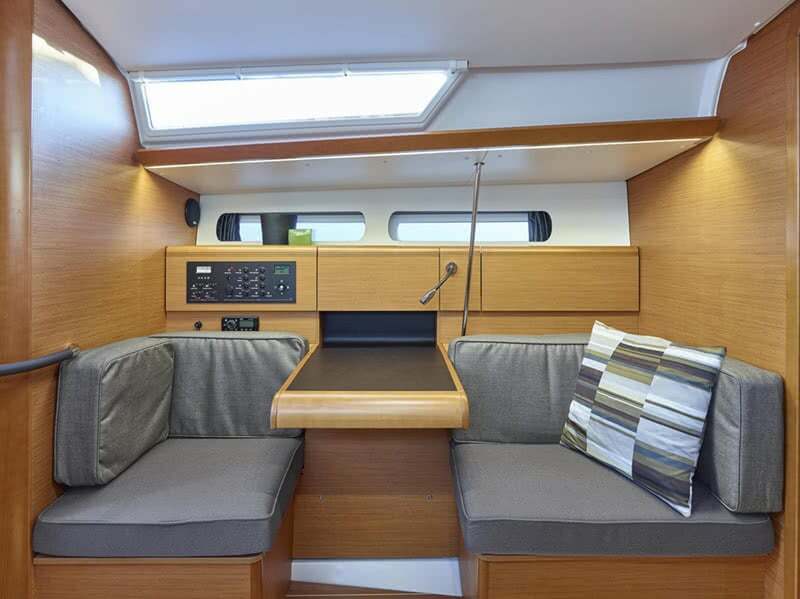 Her twin helm stations have two large steering wheels and provides top-quality instrumentation including autopilot, boat speed, depth, wind speed and direction. Color cartographic GPS is also mounted in the cockpit. 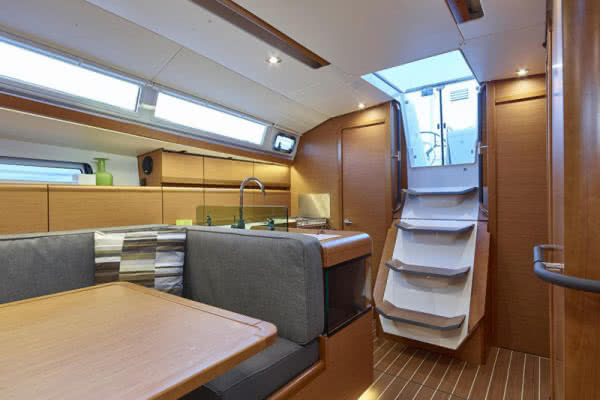 Below deck, she is spacious and inviting. Finley finished teak is used throughout. 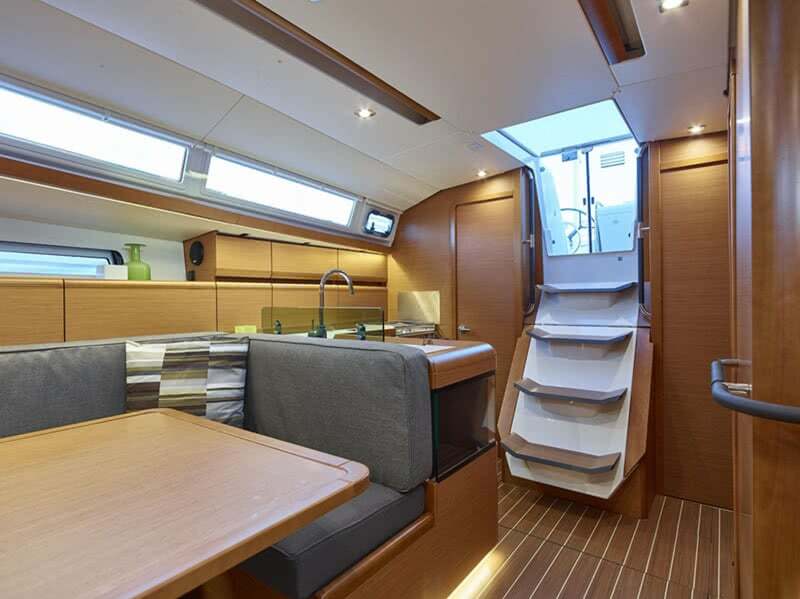 She has sleeping cabins forward and aft with fine cabinetry and large hatches for natural light and ventilation. The main salon provides a large table with U-shaped seating for seven. Two wide seats flank another table on the port side. 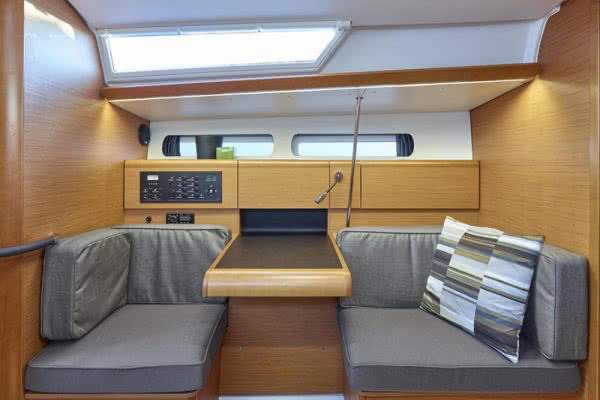 Two air conditioning units keep the boat comfortable while dockside. 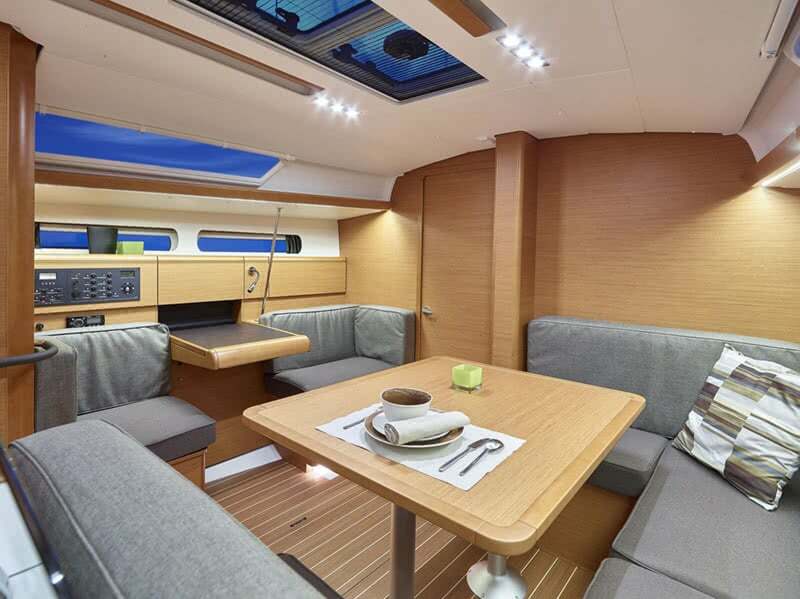 Her sizable L-shaped galley provides a two-burner stove, oven, refrigerator and a double sink with hot and cold pressure water. The galley is stocked with quality wine glasses, plates, silverware, cookware and utensils.